Olivia has been dancing for over 17 years. In 2002, she started training at Dance Xplosion as one of its founding members and now alumni. Olivia was a member of Dance Xplosion’s competition team for many years. Olivia trains in several genres of dance including ballet, pointe, tap, jazz, lyrical, musical theatre, contemporary, modern, and hip hop. Olivia is an active student in the Cecchetti Method of Ballet and is studying for her Intermediate level student exam, striving to complete all eight grades during her dance career as well as her teacher’s certifications. In addition to annual recitals, Olivia has performed in the Canton Liberty Fest and also the Kids Artistic Review’s National Star Showcase in 2010. During her seasons of competitive dance, Olivia has earned many special judges awards such as the Exceptional Emotion award from Applause Talent in 2014. Olivia has placed in the overalls with her solos in several regional competitions over the years. In 2012, Olivia was the recipient of the Gail Wildfong Scholarship and in 2014 was a recipient of the Dupree Dance Summer Intensive Scholarship. Olivia has had the opportunity to attend many workshops including classes at Marygrove College and conventions through Hollywood Vibe, KAR, and Dupree Dance. She has had the opportunity to be instructed by dancers such as Ellenore Scott, Kent Boyd, Marko Germar, Gina Starbuck, Melissa Sandvig, Mark Goodman, Ade Obayomi, and many others. 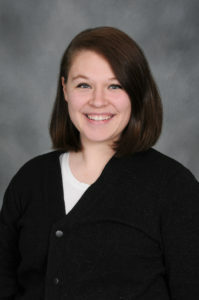 Olivia is a graduate of Concordia University Ann Arbor, where she studied Family Life Education. Her love of dance continues to grow everyday and desires to share it with as many people as she can!